Low 1.78 tax rate w/no coa tax. Discover exceptional resort-style privacy in this gorgeous 6 bed (or 5 bed plus theatre,) 7 bath home in gated summit. 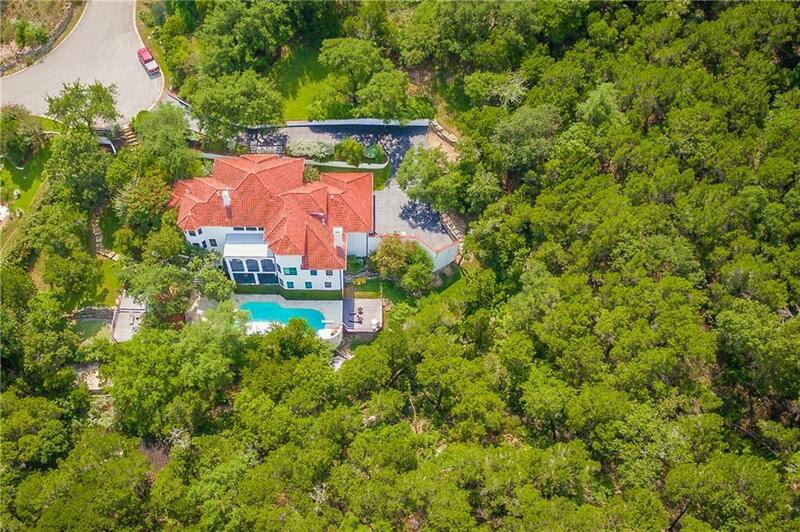 With 6,217 square feet & a multi-level plan w/elevator, this home on 1.47 acres is made for entertaining, w/a game room & kitchenette, plus extensive outdoor living areas: 2 balconies, pool/hot tub area w/decks, cabana, practice putting green & sand-trap, & private pergola nestled in greenbelt. Built in 2001, posh master bath, safe room, fiber-wired.